Akriti was bored out of her mind. She was sitting up propelled against the pillows on her bed, busy texting her friends. None of them were willing to leave the comfort of their homes and come out to meet her. 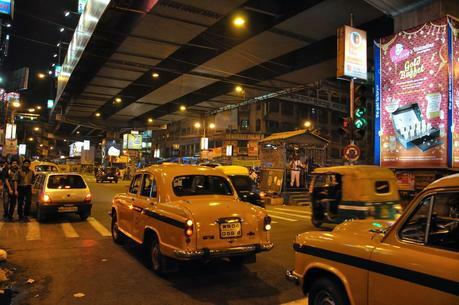 It was six o’clock in the evening and Kolkata had come to its most humid best. Even after sundown, it felt like someone (God, perhaps) wanted to grill the helpless creatures alive. Akriti moodily thought about what the weather had been like two days ago: it was raining so heavily, and the cool, sweet breeze…. She sighed heavily. Why couldn’t that amazing weather continue for the rest of summer? “If I stay one more minute in this house, I’ll go crazy,” she muttered to herself as she messaged the only friend who was still texting her: Shweta. The only problem was this friend lived in another state altogether. I want to have phuckas. She typed a fresh message and hit send. Laughing to herself, confident that a reply would not arrive until the next morning, she continued the conversation with Shweta. Piyush: Do you want to go out and have phuckas? Let’s go out then. Akriti almost fell out of her bed in shock. Here was the laziest person in the face of the planet up for a random outing with her. Well, she never was the one to say ‘no’ – especially when the outing would involve having phuckas. One and an half hour later, Piyush and Akriti finally met up in Rashbehari. They had met almost two months ago, when the girl had to literally drag her friend out of his house. “You need help buying what?” shrieked Akriti and immediately dissolved into convulsions of laughter. The girl shook her head, still chortling merrily to herself. Passer bys threw them looks of both annoyance and amusement. “Are you done now?” asked Piyush, pointedly, after a couple of minutes. “Yes, I am done. So…junk jewelry, huh?” his friend said with just a trace of amusement in her voice. “I have never seen you wear junk jewelry,” he said with a shrug. They found an auto heading to Gariahat from the stand and boarded. As was Akriti’s custom, she became silent as the vehicle drove them to their destination, observing the roads she was passing by. “Why are you silent?” Piyush asked her, a little annoyed. He clearly didn’t like sitting in silence. “Err…I am listening to you. You’re the one who went on a trip. Tell me about it?” she said, sweetly. Mentally she added, and I am better at listening to people anyway, rather than talking. “My trip was amazing. I went to such lovely places, and took pictures with this phone of mine!” he said, with the excitement of child who had been handed a whole box of chocolates. There was a crack over the screen of the phone. His new phone had met with an accident. Butter fingers, Akriti thought but she didn’t say it out loud. “Maybe you can get it repaired? Take to one of the mobile repair centers?” she suggested. “Gariahat,” the auto driver announced putting an end to their conversation. The auto took an almost U-turn and dropped off his passengers in the middle of the road. Throughout her college life, Akriti had tried having phuckas from all the stalls she’d come across in Kolkata. She knew three stalls in Gariahat-Golpark itself. Out of these three, there was one which was her favorite and most inconveniently located. “Ta-da!” she announced happily as they approached the phucka stall located at the end of the Golpark auto stand. People had queued up to get back home. The line of shops which adorned either side of the streets had last minute customers, and impatient owners trying to hurry them up. Akriti merely shook her head. At least the phuckas had been worth meeting up this randomly so late in the evening. But the stifling heat of the evening refused to go away. “It was amazing for the last two days,” said Akriti, “Maybe this is how Kolkata welcomed you back, Piyush Banerjee.” She added wickedly. “Do you know where we are going?” she asked. 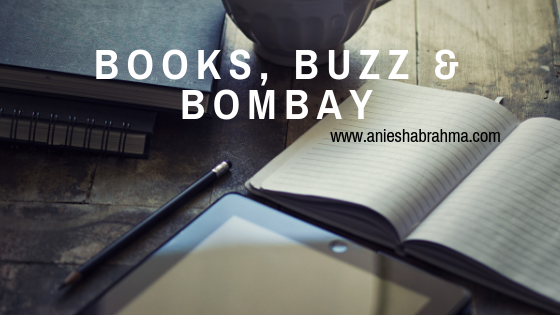 “You’ll land up near the Café Coffee Day of Golpark,” Akriti informed him, rolling her eyes. “Hey get up on the sidewalk,” he said. 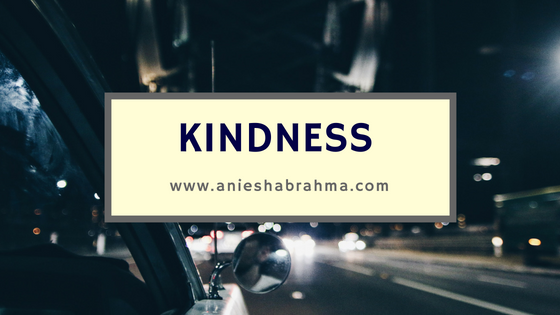 “I am not terrified of cars,” snarled Akriti, though she got up on the sidewalk, “besides, that car was stationary.” She pointed towards the black car parked on the side. They came up near CCD, and peering through the window found a fair few seats empty. In Akriti’s opinion that was definitely a first. She had always found the place to be very crowded. “Let’s go in,” Piyush said. “No,” replied Akriti. She never liked this place. It had way too many twisted memories for her. Including one of her friend’s once breaking an ashtray there. “Why not? There’s a hot girl inside! Let’s go!” said Piyush. “Why do you keep reminding me of the fact that I have a girlfriend, when even my girlfriend doesn’t do that?” he asked, exasperatedly. “You and your bright ideas!” growled Piyush. The other CCD was overflowing with people on a Tuesday evening. Akriti wanted to kick her luck, she was that annoyed. The only seats remaining were the one on the patio. But it was too hot to sit outside. “How was I to know that this CCD suddenly gained popularity?” she asked, feeling completely lost. “Wait,” Piyush said, pulling out his smart phone from his pocket. He typed something but a minute later he laughed. “What is it?” asked Akriti, wondering what could possibly make her friend laugh at a moment like this. Akriti laughed too. She smiled slowly remembering all the other cafés she’d often come to with her other friends. “What? My room café?” echoed Piyush, startled. They were walking to length of Gariahat again with Akriti, confidently navigating the way through the throng of people and Piyush, doubtfully walking beside her. “And that is?” she said, looking directly into his eyes. “Who are you talking to you?” asked a voice from her left. Akriti almost jumped out of her skin when she realized Piyush was walking with her on her left. She was horrified to realize she must have spat those words at some random stranger. “Who did you just ‘what rubbish’, Akriti?” laughed Piyush. Finally, the two of them had reached Upper Crust. They ended up having chocolate pyramid cake with a couple of soft drinks. As they ate, they spoke nineteen to the dozen, about the time Piyush had not been in Kolkata. How Kolkata had been for Akriti the last few days…and the future. “Married? Don’t get married!” he said. “But you really want to be married? Why?” he asked, incredulously. “Yes! Why don’t you come too?” he asked. “Do you need anything else?” asked the shopkeeper. “No, we’re fine.” Akriti replied. “I’ll be closing in five minutes,” he informed. “We’re about to leave,” Piyush told him. “Lookout!” shrieked Akriti, pulling Piyush by his t-shirt sleeve, towards the sidewalk. There was bus turning sharply and heading towards the road they’d been standing on. “Just like they show in the movies?” Akriti joked. “Yes,” he agreed, “but in those movies, the hero always gets to know when the bus is going to fall off. So I wouldn’t be dying.” Piyush said, confidently. “Sure. Just get me killed instead,” his friend said, a little mad at him. “Of course not! I had pulled you away from there too. I wouldn’t let you die, Akriti. What a thing to say.” He pretended to be hurt. Akriti laughed at his honest confession. “Now that, I definitely need to record.” They laughed again. “But no, honestly…that’s a huge compliment. Thank you.” Piyush said, smiling at her. The auto ride back to their meet point was just as pleasant as their whole evening had been. It really was nice to have friends who would be up for last minute random plans. “Shut up, Akriti!” he said, shoving her slightly with shoulder. “You started it!” Akriti defended herself. And so they bickered all the way till the both reached Rashbehari and said goodbye to each other. Akriti rolled her eyes at her friend. He smiled, waved at her and went off. She boarded the auto and came back home. Author's Note: This story is dedicated to a friend of mine :-)) and to the little boy, Piyush, who I met during my time as a volunteer for Hope Foundation. This is the second time i am commenting..1st was on fb..:P Neway, thot i was reading a coffee table book..loved the lucidity and the coherence of the same!! Wish someday I could write like this! <3 your work really. And I couldn't stop grinning all the time. Whenever the busy person is a little free, I am guessing. Bannerizer made it easy for you to promote ClickBank products using banners, simply go to Bannerizer, and grab the banner codes for your favorite ClickBank products or use the Universal ClickBank Banner Rotator Tool to promote all of the ClickBank products.